The first Waldorf School was revolutionary for its time — open to children from all social, religious, racial, and economic backgrounds, and co-educational. 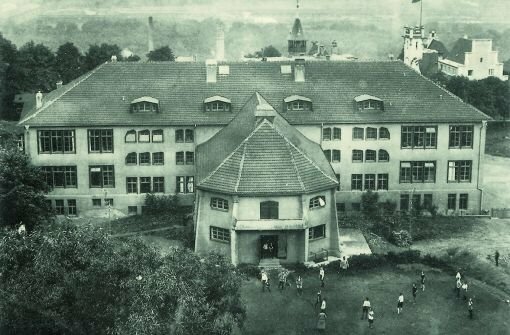 By 1928 it had grown to become the largest non-denominational school in Germany, serving as a model for other Waldorf Schools in Germany, Switzerland, Holland, England, and the United States. Waldorf schools, also known as Steiner schools, are schools based upon the approach to education founded by Rudolf Steiner in response to a request by industrialist Emil Molt, who in 1919 wished to start a school for the children of employees of his Waldorf-Astoria cigarette factory in Stuttgart, Germany. The director of the company sought to provide a new kind of education for the children of the factory workers — a comprehensive and highly cultural education that would help them to become creative and balanced individuals in the fullest sense. This new kind of education was to work towards cultural renewal as an antidote to the despair and trauma gripping Central Europe and its young people in the aftermath of World War I. With the rise to power of Hitler’s government, a life and death struggle began for the German Waldorf Schools. There was continuous harassment, and finally they were closed with the simple explanation that there was no place in Nazi Germany for any school that educated individuals to think for themselves. After World War II, the Waldorf Schools were the first private schools to be opened by the American occupational government for the very reason that they had been closed years before — their commitment to independent thinking. Following the war, the Waldorf Schools rapidly spread through Europe, North and South America, to South Africa, Canada, United States, Australia, and New Zealand. Waldorf educators work in refugee camps as well as uptown Manhattan, in the “Favelas” of Sao Paulo as well as Helsinki, in South African townships as well as in young Eastern European democracies, all in order to enable children to acquire the skills required to play an active role in the world. In 1989 the first Waldorf class in Israel opened with 13 children. Growing at a ten percent rate per year, today there are more than 4,000 children being educated in Waldorf schools in Israel. reGeneration supports the strengthening and seeding of Waldorf communities in the Middle East.